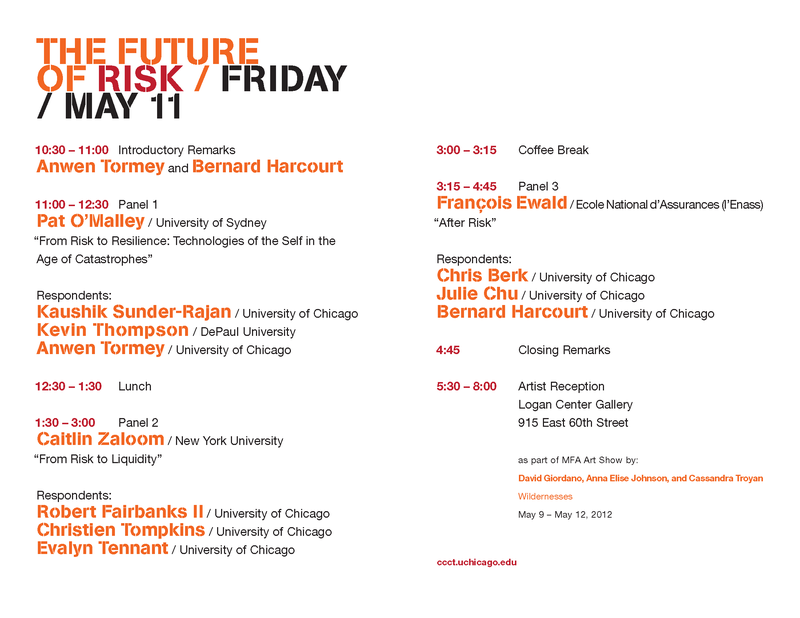 I’ll be responding to a paper written by François Ewald (“After Risk”) with Julie Chu and Bernard Harcourt at the “Future of Risk” conference this Friday, May 11. The program is available here. Papers available here.